Interesting post! 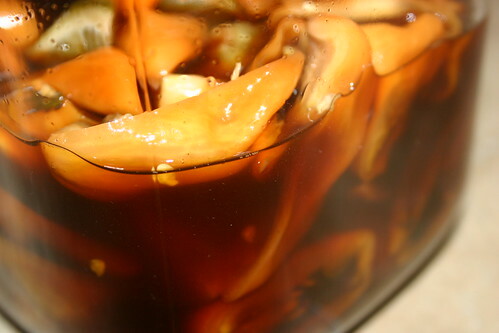 i`m a habanero and scotch bonnet geek so i just have to make these bitters.I enjoy these chiles a lot in my cooking but haven`t used them to make bitters with. I made a ancho chili syrup this weekend that turned out very good, more earhty and spicy than hot but still it has a slight heat to it that is pleasant. I`ll keep this recipe until i can make this. This looks great; I’m definitely going to try it (but w/ overproof rum rather than vodka). I used to buy 1.5L bottles of reposado tequila, pour out a cup or so, and pop in 10-12 halved jalapenos. Let it steep for a few weeks and it makes a killer margarita. Haven’t done it in quite a while, but perhaps these bitters would achieve the same effect without killing an entire bottle of tequila? Thanks for sharing–this is really a great idea. 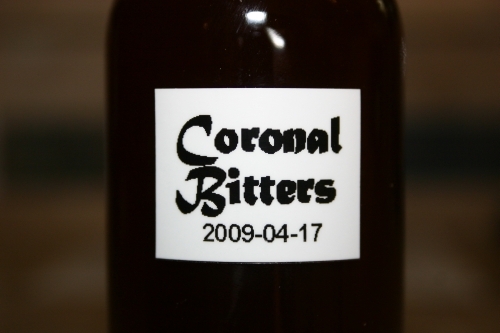 Bruce – The recipe in this post (Coronal Bitters) are in fact my habanero bitters. They’re very flavorful. I highly recommend them for addition to sweet drinks like a daiquiri or a margarita. I’m having a hard time finding the Red Cinchona Bark Powder, any suggestions for alternatives? However, if you’d prefer to use another bittering agent there are other options available. For example, I used gentian to make Robert Hess’ House Bitters (Bought this from a local herb shop). You could even use grapefruit or bitter orange peels if you so desired. Another route entirely is to drop the bittering agent from the recipe. Your bitters will be less bitter (pun intended) but the heat and other flavors will still be present. Hope your experiments turn out well! Thanks for the tips Reese! A few months ago I made the bitters using your recipe (without the Red Cinchona) and they turned out awesome! Great heat/flavors and everyone that tried them was a big fan. I ordered the Red Cinchona online, but I have the Habaneros already and want to get started on a batch now. What do you think about using some orange peel and adding a bit of ‘old fashion aromatic bitters’ that contain Gentian and Angostura Bark? How much would I add if I was following your recipe?